When it comes to enjoying the outdoors, the Moosehead Lake region offers something for just about everyone. 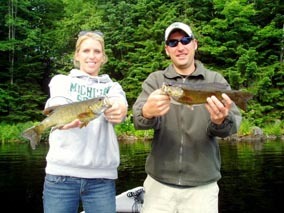 Try your hand fly-fishing or join a guided moose & wildlife tour. 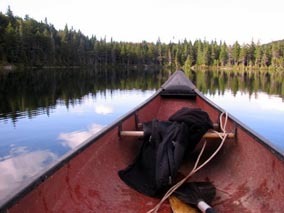 Paddle your canoe or kayak, bass fish, ride in a float plane, go hiking, take a boat tour, snowmobile, ATV and much more. It’s all here in the Moosehead Lake region . . . If you need a guide or just good advice, please give us a call we love to talk! 1-866-223-1380. 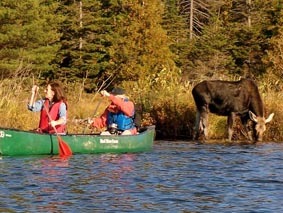 Embark on moose safari and stay with us! Just $94.99pp/do. Reserve your spot today! Call us at 1-866-223-1380 or email us now. See all the adventures you can have! Check out our Winter Stay & Play Packages or Summer Stay & Play Packages. Moose Mountain Inn rents equipment for all your outdoor adventure activities. We offer the finest equipment from leading manufacturers in the outdoor equipment industry. If you just want to explore on your own, we can provide you with the gear that you need. We rent snowmobiles, canoes, kayaks, mountain bikes, fishing & camping equipment and more. The family can enjoy fun galore with a 20'x40' in-ground swimming pool, fishing on nearby junction wharf, having cook-outs on our gas grills, golfing nearby, scenic boat rides, chairlift rides on near Squaw Mountain, restaurants and lounges close by, abundant wildlife to see, boats to rent and whitewater rafting trips. Little Moose Mountain: A beautiful hike over Little Moose with views of Moosehead and three picturesque mountain ponds. 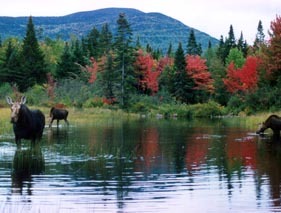 The land is owned by the State of Maine and managed by the Bureau of Public Lands. Trail begins right here at the Moose Mountain Inn on Route 15. Trail ends approximately 1 mile from the trail head of Big Squaw Mountain. 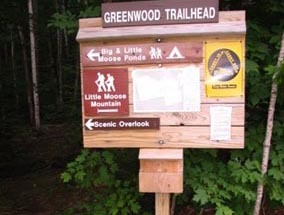 4 mile trail ascends over Little Moose to Big Moose Pond. Check out this article by the Bangor Daily news and learn more! The trees are beautiful and everyone has to experience the change of colors. This is a quiet, peaceful time of the year. There are many ways to get out and experience the beauty. 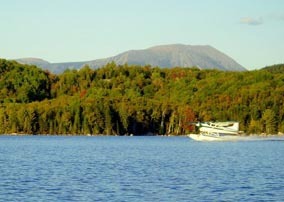 Try a cruise up the lake on the steamship katahdin, a Moosehead lake fishing trip, or go explore on your own! The skiing is terrific just 5 minutes up the road is Squaw Mountain. Cross-Country Skiing trail are available and snowshoe hiking all around. We are just off the Snowmobile Trails with hundreds of miles of groomed trails for your snowmobiling pleasure. We also rent snowmobiles and offer guided tours right from the motel. Dogsledding is a great winter adventure that everyone should experience at least once in their lifetime. Feel the power of your team take off with your driver shouting Mush! It’s a truly exhilarating feeling racing across the snow covered trials through the canopied forest of the Maine wilderness. This trip is available for couples and families alike. Don’t miss out on this unique winter experience! Call today! Moose watching and fishing and hiking is the name of the game in the spring. Spring is the best time of the year for moose watching and our guides guarantee sightings! As the trees are budding we see lots of fishermen once the ice goes out and the lake and ponds. The perfect time to get out on the lake and catch the first fish of the season!